We’d love your help. Let us know what’s wrong with this preview of The Type Astronaut's Guide to Shapeless by Dave Gurnell. The book is divided into two parts. Part I introduces the general mechanisms for type class derivation i The Type Astronaut’s Guide is aimed at experienced Scala hitch hikers with an interest in generic programming and boilerplate elimination. The book walks you through one of the main use cases for shapeless – automatic, boilerplate-free derivation of type class instances. 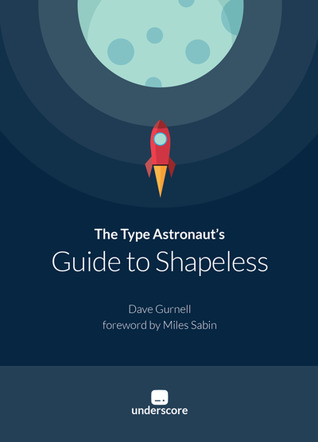 To ask other readers questions about The Type Astronaut's Guide to Shapeless, please sign up. This is not a comprehensive manual for the Shapeless library. Rather, it is a really well-written guide that explains some of the library's most important features and core design principles, equipping the reader with the prerequisites to dig into other features on their own. Even though the book is about Shapeless, it is also a worthwhile read if you want to deepen your knowledge about type classes and path dependent types in Scala in general. The selected Shapeless features are explained by me This is not a comprehensive manual for the Shapeless library. Rather, it is a really well-written guide that explains some of the library's most important features and core design principles, equipping the reader with the prerequisites to dig into other features on their own. Was unpleasantly surprised by this one given the ratings; I typed out and played with the code from every chapter (half of it doesn't compile) except for the last one, because its applications were such an incredible stretch. It's rather tedious, doesn't properly motivate the reader (you can do all the stuff from this book that you actually want to do with vanilla Scala), doesn't come with exercises, generally repeats the same pattern over and over again (implicits to convert primitives, method Was unpleasantly surprised by this one given the ratings; I typed out and played with the code from every chapter (half of it doesn't compile) except for the last one, because its applications were such an incredible stretch. It's rather tedious, doesn't properly motivate the reader (you can do all the stuff from this book that you actually want to do with vanilla Scala), doesn't come with exercises, generally repeats the same pattern over and over again (implicits to convert primitives, method to convert HList intepretation into LabelledGeneric values, and a converter to take your ADT to an HList). A natural progression when working with scala and case classes(Abstract data types). Gives you an overview on how to use the shapeless library and mostly focuses on theory and the "big picture". Once the concepts stick, you'll understand how the library is meant to be used and where it is a good tool and where it is not. The Lemma Pattern(Aux method) is especially interesting and applying it will make using shapeless a breeze. A quick 100 page read makes an obscure topic (shapeless) terrifically transparent. I feel like I am ready to use shapeless now. A fast paced introduction to shapeless. Everything is not covered but enough to get you started. An excellent, practical introduction to what you can do with Shapeless. If your Scala project has reached the stage when Shapeless is desirable (and most of them unfortunately do), this is your best guide on what it is about and how to use it. Excellent but wish I had my computer with me when I read it so I could try some examples.